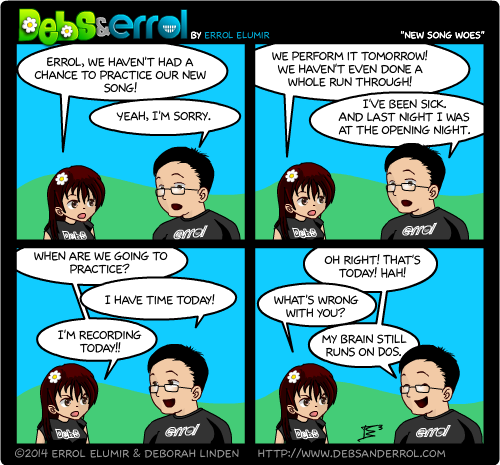 Errol: Honestly, when Debs had to record our song, I kept forgetting. And now, we have a gig tomorrow. Gosh, I hope that song goes well. It’s almost like Tribbles all over again.